Penelope Cave is an international prize-winning harpsichordist and specialist in the early English piano. Penelope’s CD, From Lisbon to Madrid, received 5 stars from the BBC Music Magazine, she contributed to the British Harpsichord Society’s CD, Shadow Journey, in which she plays the title piece, Enno Kasten’s Schattenreise. Her recent recording of twentieth-century repertoire, Panorama, is on the Prima Facie label. She has performed and broadcast throughout Europe, and frequently accompanied the late Glenda Simpson, including her well-received recording of Barbara Strozzi for Hyperion. She has also worked with Peter Medhurst and James Bowman. 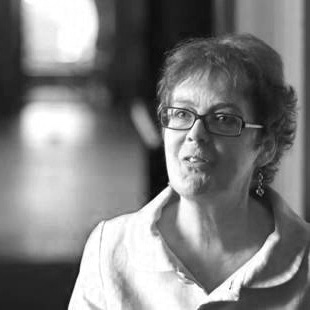 Penelope Cave was awarded a collaborative doctoral award by the AHRC and the National Trust, at the University of Southampton, during which she project-managed and appeared in four films about music at Tatton Park, directed by Professor Jeanice Brooks (viewable online). Since gaining her PhD in 2014, she has been an artist-in-residence at Dyrham Park, researching and performing music relating to the Blathwayt family. Amongst many entertaining recitals with readings, her Jane Austen programme included performances at the Bath Jane Austen Festival, and throughout England and Scotland. Piano-duet performances with the Australian pianist, Katrina Faulds, included a memorable commemoration of the Battle of Waterloo at Chawton House. In 2015, she became an Attingham Scholar, and has given papers and performances at conferences including the universities of London, Edinburgh, Cardiff, Oxford, Glasgow, and York, the Ringve Museum in Trondheim, Complesso Monumentale di San Micheletto in Lucca, and the Paris Conservatoire. She tutors regular courses for adults, lectures, and gives practical workshops in universities, museums and festivals, writing for various early music publications. She recently contributed to Muzio Clementi and the British Musical Scene (1780-1830), to be published by Routledge.